Clint Eastwood directed, produced and starred in the 2008 film, Gran Torino. There’s much to say about this oxymoron of a character: scarred and sweet, rude and noble, cantankerous and romantic all wrapped up into a celluloid package and delivered by the scruffy, inaudible Clint Eastwood. It’s ranked high at #95 on the IMDB 250 film countdown. Should it be? This was a film that had my heart and my head fighting each other. Any plot with a dynamic character is preferable than a static one. Clint acted as an old ‘Dirty Harry’ with too many snarls and one-liners; I thought the script by Nick Schenk was a choppy mix of horrible, mediocre, and small beams of brilliant. Walt Kowalski I could relate to. I grew up listening to veterans of the Korean war talking like Walt Kowalski. Men back then were supposed to be hard, unsympathetic. You better know how to chase a skirt, drink beer, swing a hammer, and shed no tear. That generation kept their yards immaculate, took care of everything they owned and threw nothing away. They would die for their family and country. Racial tags and slurs were common growing up as a kid. Political Correctness hadn’t been suggested yet. Another way to put it, Walt Kowalski was Archie Bunker, and Archie was as common as apple pie, lemonade, and the American flag. Experiencing this, I didn’t have a problem with Walt Kowalski in the film. Clint Eastwood has played the same character for fifty years, so I wasn’t surprised he was, again, the hard shell with the soft middle. Walt and Toad buying tools. Here’s how to be a man. Walt reluctantly mentors Thao, who he nicknames Toad. Thao is played by actor Bee Vang. It was his first acting job, and you could tell. Unfortunately, Bee Vang was one of the worst actors in the cast along with the neophyte priest, Father Janovich. Anytime they conversed with Clint Eastwood, it was painful to watch. The script was terrible and their acting wooden and unbelievable. There was very little chemistry between Eastwood and the actors in the film except the bright spot, Sue, played by Ahney Her. Ahney Her had a great role in Sue. Her lame boyfriend, appearing briefly as pretty-boy Trey, was played by Clint’s son, Scott Eastwood. Another family member contributed to Eastwood’s film, Kyle Eastwood, who wrote the score. But back to Ahney. She delivered her lines with grace and energy which was sorely lacking in the other performances. Sue was the interpreter, the feminist, the “smart” Asian female who intercedes and befriends Walt Kowalski. It is only after she is attacked that the film becomes interesting. While Walt hacks up blood, the ending is clear, but the climax is nicely done. While it sounds like I disliked the film, I cried at the end, and still love the film despite its flaws. Perhaps because I understood what Clint Eastwood was trying to do. Here was a film about the effect of the horrors of war. Walt Kowalski lived with the guilt of killing Korean soldiers. It haunted and jaded his entire life. Here, now, was Thao, who was Walt’s redemption. By sacrificing his life for Thao, he was able to come to peace with his past and give a life to Thao who would be free of the gang preditors. By vindicating Sue’s attack, Walt in one move saves the neighborhood, the family, and Thao and Sue. The irony in the film is wonderful. Walt Kowalski becomes more comfortable with the customs and food of the Hmong than his own family. Walt had failed as a father to his two sons, unable to have a positive relationship with them or affirming their manhood. With Thao, Walt is able to teach him how to be a man (albeit in an old-school way) by teaching him how to repair, garden, build, and care for possessions. That’s what real men do. They care for their families and protect them. For those reasons, the audience discovers they look beyond the gruff exterior of Walt and see the loyal, loving man at the same time Walt Kowalski looks beyond the Asian stereotype and sees his Hmong neighbors as people with similar values as his own. 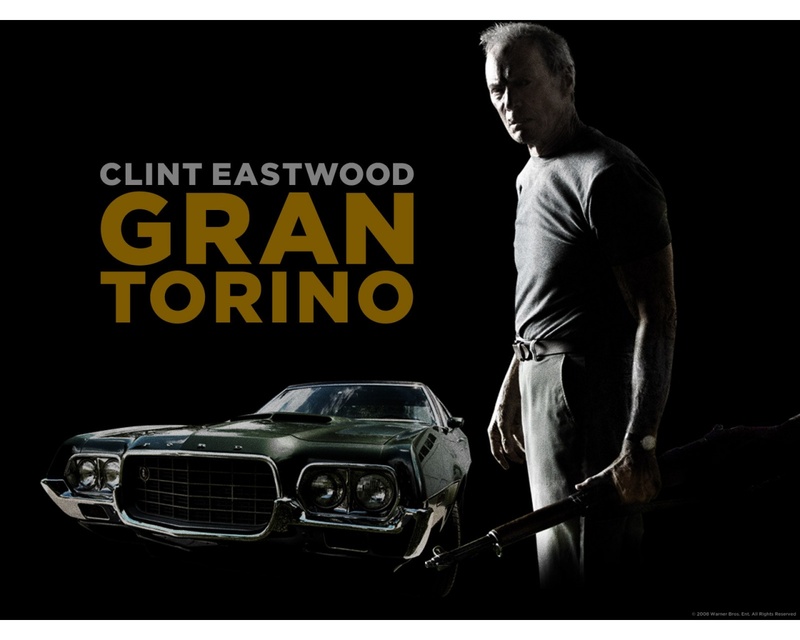 While the traditions and customs displayed in the film might be inaccurate at times, the purpose behind the film is why Gran Torino is ranked pretty high. Clint Eastwood attempts to reveal Universal Truths in his films, and I appreciate that. Oh, also the sweet, green 1972 Gran Torino. I want one of those! Good review Cindy. It’s a fine movie. Though it was a bold move to cast a lot of non-actors in these major roles, not many of them did very well and most of it all came off as very corny. Though, I have to give Eastwood the benefit of the doubt. I’m a Nats fan. What a sucky game for me last night. Sorry about your pitcher Cliff Lee. I hate it when I strain my left flexor pronator…. Yes, Eastwood took a risk there, but it wasn’t the ensemble group in the house feeding him or bringing him food. Their authenticity helped as a collective. I loved the old crow spitting larger wads than Clint, there was a lot of bad acting going on with every one in the cast. Ha! I love it when that happens! Thanks, Chris. The showdown was memorable and poor Sue. That was quite realistic, although, technicially, I don’t think members of her own ethnicity would have raped her. But now I’m being too picky. I’d like to see Ahney Her in more films…. I quite enjoyed this one Cindy! Apparently a lot of the cast are from St Paul Minnesota as we have a lot of Hmong population. Can’t remember if it was filmed here or not. In any case, Clint is great here, he’s not sympathetic initially but you grew to like him and boy that ending, whoah! Nicely done. Your analogy about the Korean War is insightful. I also see a parallel/connection of the Vietnamese War as these people are surely refugees of that also bloody unglorified conflict … displaced to America. The interesting thing I got out of the story was that an inability to be yourself may destroy the relationships that are most important to you. Clint’s character can’t relate well to his own kids, but the young man on the brink of deep trouble and the friendly but “different” girl next door, he does not have to impress, yet they connect. Even though it is best remembered for Clint standing on the lawn with his carbine, the resolution employed no violence on his part and exploits the revenge motive we would all have in a really unexpected manner. I’ve read a lot of criticism of the young actors over the years, but i have not seen a very specific analysis of their deficiencies. Their faults did not stand out to me as much as everyone else, is there a scene or two that you could mention that makes the point a bit clearer. I know they were not excellent, but where were they downright bad? I saw this two or three times in the first couple of years it was out, I have a Blu that I have not yet opened. When I do, I’ll look for anything you can point to. Hi Richard: Let’s see if I can clarify for you. Let’s just focus on Bee Vang who plays Toah (Toad). He is shy and defeated in the beginning, nagged by the females in his life to “man up” and by his male cousins who want him to “man up” by becoming a gang member. Finally, by Clint who berates him with slurs and tries to get him to “man up”. Toad’s lack of facial expressions during any of these processes, in fact, all he does is look down and shuffle, is excessive and shows a lack of acting skills. He should have had 3 sets of expressions, or reactions, or poses to become life-like and dimensional. Given that Clint as director encouraged the actors to ad-lib, Toad couldn’t/didn’t do anything. By the middle of the film, after a few cleaning jobs for Clint, he started to lighten up and have conversations with Clint. At this time, his delivery was monotone. He was wooden and boring. The barbershop scene was particuraly dreadful showing Toad as a wooden stick and monotone. There was no connection or chemistry between he and Clint. Consider Toad’s sister in comparison, Sue. She had great chemistry. She smiles, jokes back, initiates, her body language is relaxed and energetic. She cajols a smile out of Clint–that doesn’t happen with Toad. After Sue’s attack, Toad swung to the other side of acting which seemed unnatural for his character. CLint locks him in the basement and he suddenly, violently, screams to be let out. Not in character thus far. His “Let’s kill the MFs” something like that, was downright comicial. I’ve honestly seen middle school kids act better. For me, acting is about variations. It’s a combination of voice inflections, facial expressions, body expressions, interactions with the characters, and the process of changing over the course of the story. To see the experience of changes is what makes a solid actor. Poor Toad just stood there for the movie and delivered his lines in monotone. The other “sinner” was the priest. He was terrible, too. Not monotone, his was a bad script to deal with. His lines and his facial/body delivery was horrible. Whew. Very wordy there. I’d love to know if you agree after you watch your new copy…. I remember watching and liking this… and nothing else about it. That happens a lot, yes? I rewatched it after its initial release and found holes I hadn’t seen the first time. I was also struck how awesome the character Sue was. I think it’s rated too high, but it’s more good than bad. Excellent comparison of Clint’s Walt Kowalski to television’s Archie Bunker. The film is kind of uneven and choppy in parts, But, so is life. Especially when older and younger generations meet or confront. Speaking from personal experience. It’s a personal culture and experience kind of thing. Especially when Clint Eastwood borrows a page from John Wayne in ‘True Grit’. And plays himself. Or more properly, as the audience perceives how Clint would play out. Not a great film, but certainly not a bad one, either. Hi Kevin, thank you for your thoughts. The irony in the film is it’s hallmark. Especially the ending. You expect Walt literally to pull the trigger; his non-violent solution is heroic, knowing he would be a martyr. That a crusty veteran, verbally violent to others and eager to simulate killing with his forefinger and his scathing eyes makes the ending quite satisfying. I have many of the same observations you do, but I don’t like it as much. Probably because the flaws bother me more than they do you. Our difference, then, isn’t in definitions. It’s how we weigh them. 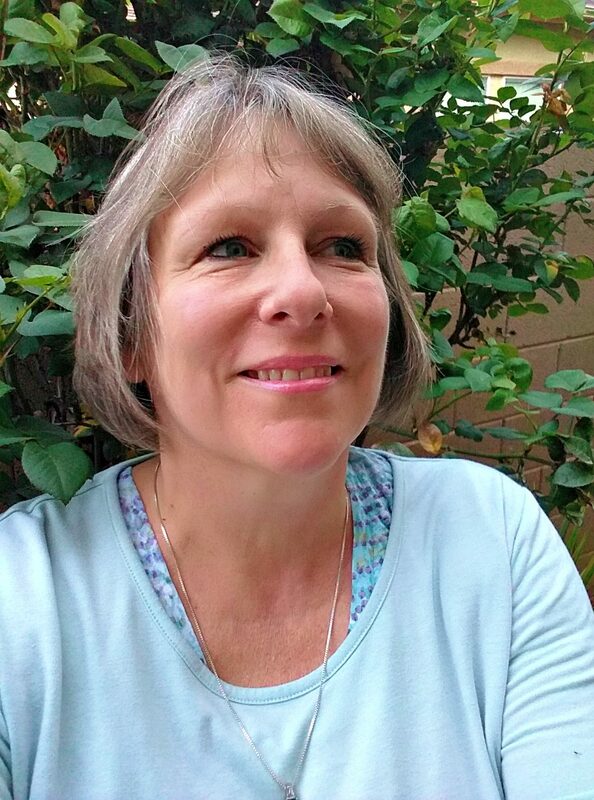 Great write-up Cindy. I haven’t seen this film in a long time although I remember enjoying it. I agree with many of your insights and comments, including the fact that he treats the Hmong better than his own family. It wasn’t perfect, but it had such a strong leading character, played incredibly by Eastwood. And the ending really is powerful. I agree. I’ve seen it a few times and appreciate the cultural exchange.